We came across Ethnic Story, a beautiful boutique that designs bridal lehengas, anarkalis and party-wear gowns. Here's why you should give it a visit this season! 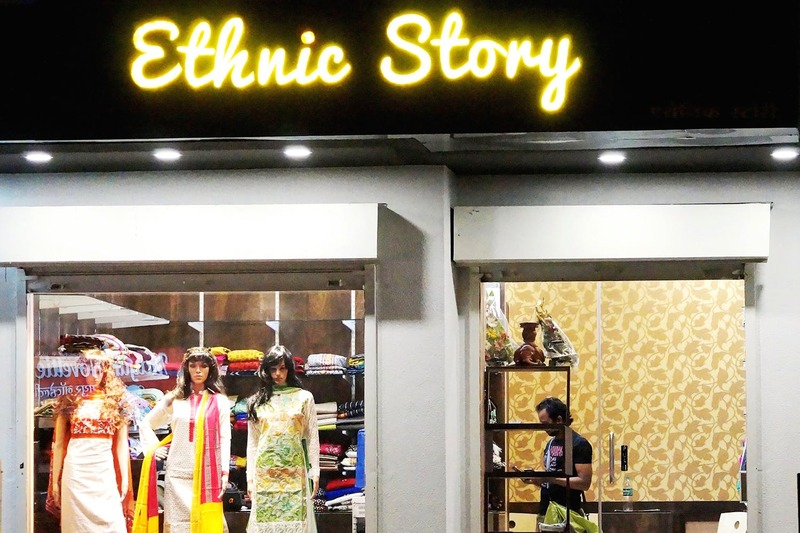 Ethnic Story, located in Aundh is a treasure trove of sorts. Especially if you are getting married or have weddings to attend. From elaborate lehengas to traditional anarkalis and stylish blouses, this shop is a one-stop-place for brides and their tribe. The boutique also boasts of skilful tailors who can re-create your favourite celebrity's dresses. As for prices, a simple blouse will cost you around INR 950 and will vary as per the design and pattern. The anarkalis start at INR 1,800 and simple lehenga sets will cost you INR 3,000 upwards. Apart from wedding trousseau, you can also get tailor-made party-wear gowns and dresses stitched. The best part is that if you are in a hurry, the boutique will be glad to complete your dress early, without any compromises. Well-known for their finesse, bookmark this boutique for your dose of designer wear. Ethnic story has a great collection of dress materials and daily wear kurtas starting at INR 1,000.